A great result at this year's bookfair with in excess of $17,000 raised for distribution amongst deserving organisations.. The success of the Rotary Club of Geelong West’s annual Monster Book Fair, held in August each year, has just gone from strength to strength as it attracts thousands of reading buffs from around the region each year who fossick through the tables and tables of books searching for their favourite titles, authors and reading subject interests. 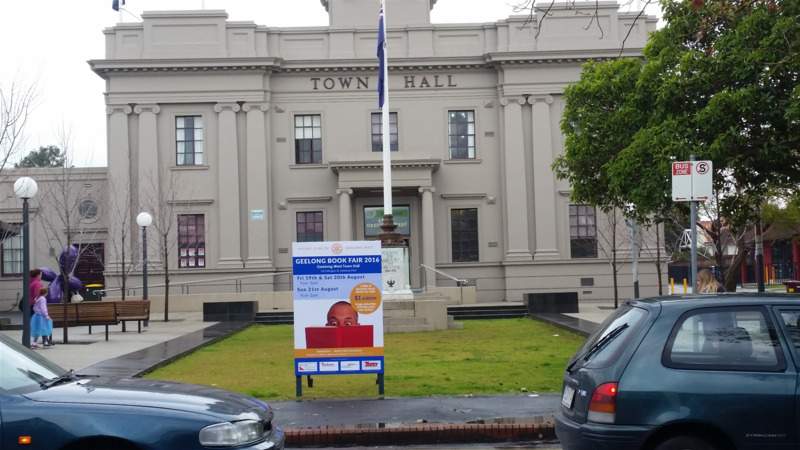 The Book will be held again at Geelong West Town Hall, opening on Friday 19 August at 9am and the continuing over the weekend until 2pm on Sunday 21 August. The Club will have over 30,000 books for sale and all books will again be only $1.00 each. ‘You can go home with an armful of books for little cost while, at the same time, helping our Rotary Club to make a positive difference in our community.’ said Ms Nunan said. ‘All funds raised go towards supporting beneficial community projects such as supplying the Barwon Health Foundation with patient transfer vehicles for patients requiring treatments such as dialysis and chemotherapy, or financial grants to support the work of Operation New Start - an innovative re- engagement program for young people aged 14 -17 who are at risk, and so many other Geelong community projects that the Club contributes to each year to facilitate meaningful change in peoples’ lives. The Club members have been very busy sorting the books into the various categories and buyers can be assured that there are some exceptional bargains in their favourite genres. Once again this year, the Rotary Club of Geelong West is grateful for the generous event support received from the Geelong Regional Libraries Corporation, City of Greater Geelong, Tuckers Funeral Service, Zippy Removals and Paul Bell Real Estate.